Of late, so many HTML5 games in shooting category have emerged that a majority of HTML5 gamers would be praying for some fresh ones. Galactic Mail comes across as a breath of fresh air for enthusiastic gamers who love the vastness of the celestial space but do not quite wish to set it all on fire. 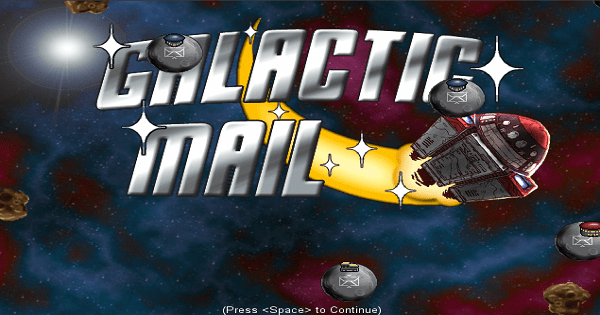 Galactic Mail is a Flying game. It is a simple flying game. Your objective is to deliver mail to all the planets, and have fun doing so.